(Newser) – Morrissey, who has canceled several shows recently for health reasons, has revealed to Spanish newspaper El Mundo that he has been treated for cancer, reports Rolling Stone. 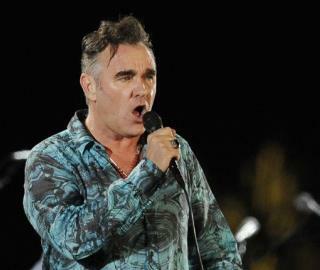 "They have scraped cancerous tissues four times already, but whatever," said the former Smiths frontman, who started a European tour Monday. "If I die, then I die. And if I don't, then I don't. Right now I feel good. I am aware that in some of my recent photos I look somewhat unhealthy, but that’s what illness can do. I’m not going to worry about that. I'll rest when I'm dead." You would think VETERANJOE would quit attacking Morrissey. I guess there is a fifth scraping in the future. The Smiths were brilliant in the 80s and Morrisey alone was equally brilliant for a short time in the early 90s, but like so many of the great bands of my formative years, I prefer to remember them as they were then, and not see them as they are now. It seems the vegetarian diet has treated him well.